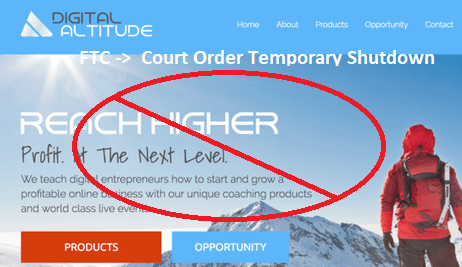 A Federal Court, at the request of the Federal Trade Commission, ordered the temporary shutdown of Digital Altitude, Aspire Ventures, and Rise Systems Enterprises. Charges were laid on 1 February 2018 against the owners for making false claims that members would receive “individualized” coaching to build an online business that will earn big money. The FTC alleges that the coaching had more to do with selling higher membership levels in the defendants’ multi-tiered program. The FTC files complaints when it believes the law has been broken. The charges must be proved in court. The FTC Press Release dated February 8, 2018 is available to read at the Federal Trade Commission’s website. From the publicly available records, the FTC clamp down came as no surprise to many members. Payment delays were widely reported and the company changed its banking and payment processors several times in the previous 12 months, issuing payments through what appeared to be shell companies. From personal experience I know that when payments are slow, when banking and processing timetables are changed, when excuses are made about ‘problems with merchants’ and so on, it’s usually time to jump off the boat before it sinks. In addition to 14 companies listed in the charges, the defendants in the charges are named as: Michael Force, Mary Dee, Morgan Johnson, Alan Moore, and Sean Brown. I had seen the ads for Digital Altitude and Aspire promoted in Social Media. At one point I subscribed to an email series to find out how I could earn “6 figures in 90 days or less”. I’ve been marketing online for a long time, so I was curious. It didn’t take long to figure out that they had no magic solution for creating income with an online business. This was a high-ticket MLM company that was selling dreams. They offered a copy and paste method to use the advertising material of ‘successful marketers’ and promised it would pull in tons of leads for my business. Teaching people to copy and paste ads and read from pre-written sales scripts is not my idea of “individualized coaching”. Following steps blindly without understanding why and how it works means you cannot be who you are and use your own voice when recommending something to others. This aspect of Digital Altitude reminded me of the $200 million fine by court order against multilevel company Herbalife for deceptive advertising. They too considered teaching people to ‘script read’ as coaching. I’m not saying reading from a script or copying and pasting ads provided by a company for its affiliates is bad. But it is not real coaching. If that is the main marketing training that people use, it is just parroting what the company wants you to say. The alarm bells went off and I quickly unsubscribed from further emails. Success requires an ability to learn how to market effectively from the ground up without taking shortcuts. It’s not enough to place ads in front of people. That’s usually the last step in the process, yet many ‘biz ops’ lead with that proposition. They dangle the carrot of making big money fast rather than focus on the inherent value of the products or services. Where ‘coaching’ services are offered, find out exactly what that includes. If you are not receiving value for what was promised, let your feet do the walking. As I say throughout my website, there is no magic button to riches. Dig deep to uncover a company’s business model. Stay away from anyone who promises to make you rich by a specific time frame. That is hype and fiction! Learn what’s behind the ‘how’ and the ‘why’ of your business. Many people dislike selling but each time we recommend something, we are selling. Selling is a legitimate process when done with transparency and proper business ethics. The best place I have found to learn how to earn through the internet is HERE. They’ve been paying on time, like clockwork, for over 13 years. 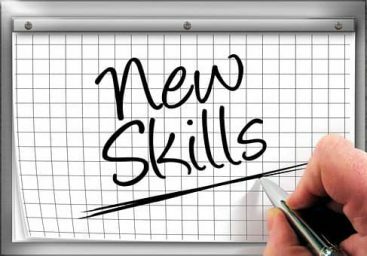 If you are looking for a safe environment where you can learn the ropes at your own pace and acquire the knowledge and marketing skills to succeed online, visit the link below to find out more. I’ve seen a few posts on the charges against Digital Attitude but none as clear as yours. Yes, now I see what the problem was and why the FCC is so concerned. If there’s no product, its a scam. Unhappily there are a lot of people who will fall for this type of trick because they want something as easy as copying a script. I agree with you that promises of easy money are suspect and will look a bit further into the organization you recommend. It amazes me that a supposed coaching service would lead with a marketing campaign that promises riches in 90 days. Those 90 days go by quickly! As you say, it is a ‘trick’, a marketing ploy to draw people in to a high-ticket program. Sadly some people buy the dream and don’t do enough due diligence to determine the inherent value of the offer. 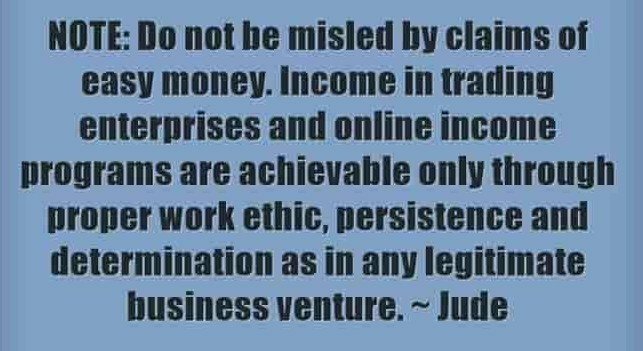 Hi Jude, I think the most important contribution you have made to your site in promoting genuine and trustworthy earnings online is to show up the bad apples in the industry and having the proof to back it up.I was one who tried Digital altitude and got out in time but unfortunately not without losing a few hard earned dollars. Your site is informative and easy to follow and is great for newbies to the industry like me. I’m sorry that you lost hard earned dollars with it. I can relate. While researching for this article I discovered that one of the parties charged is someone I signed up under as my sponsor several years ago in another eerily similar program called Carbon Copy Pro. I lost my money with that one. I learned that just because a marketer appears to be successful is not enough for me to follow in their footsteps. I think Digital Altitude had it coming since day one! With Empower Network gone too, I also think it’s only a matter of time until the same thing happens to MOBE. Don’t get me wrong, I think these programs do provide value, but unfortunately, they always come at a price. In my opinion, folks should be able to start and build online businesses at reasonable costs, but these “high-ticket” programs really do take people for a ride. There really is no logical reason at all why Gurus like Michael Force should charge $1,000s/$10,000’s for internet marketing training that can be found elsewhere for ONLY $100s. The high costs of Force’s program makes it a “scheme” – where members promote his products for the sake of ridiculous commissions. High-ticket MLM-style programs are unethical. I’ve come to the same conclusion as you, Neil, that just because a program cost is “high ticket” does not mean it will deliver honest value. MLM products are often charged at a higher price than the normal retail price on an equivalent product in the general marketplace. The reason for this is to facilitate the payment of commissions in the distribution network. One ends up paying for the business opportunity, not for the true value of the product without having to join the business. I lost all my retirement which was invested to Digital Altitude and now we live in poverty. My husband had to take a second job just to put food on the table and try not to loose our house! Our utilities have been shut off and on trying to pay them. I had to quit my job to care for my mother who is living with us now. She requires 24/7 care and she is deaf. Michael…how do you live with yourself knowing you have scammed so many people who we believed you were a Christian company. If you had a heart.., you would pay my money back so we don’t loose our house because we trusted in you! I’m so sorry that this has happened to you and your husband, Roberta and so many others. I am not a fan of ‘high ticket’ programs. While paying a high price for something does not make it a scam, when they take advantage of people’s trust and financial vulnerability with the false notion that the only way to succeed is to sell high priced products or services, then it is likely to be a big scam. Although the receiver is not replying to emails, if you have not done so yet, it would not hurt for you to sign up to receive important messages from the receiver. Should the court order a repayment process, at least you will be notified so you can make a claim. For more information on this, visit: http://www.digitalaltitudereceiver.com/ and subscribe to receive emails from the receiver. I very much appreciate your stopping by and sharing your story. It will help others to better understand the risks and how to avoid such scams.